Chris Bribach, Plants On Walls. 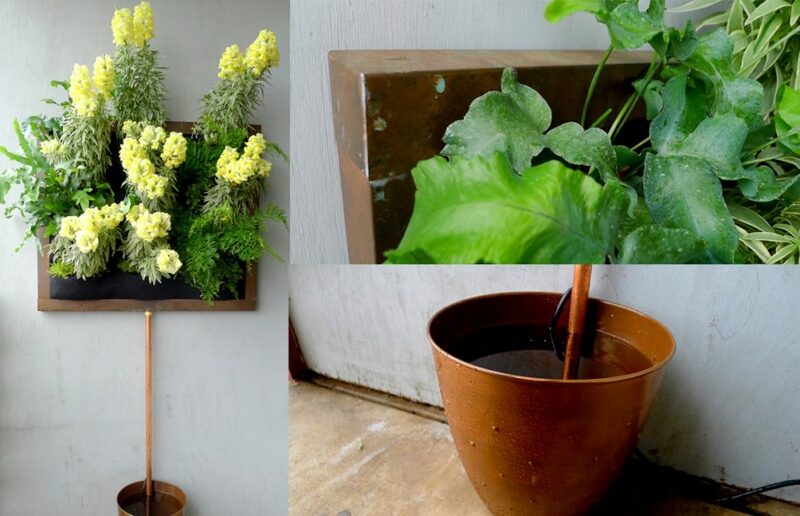 Custom Copper Framed Florafelt Vertical Garden. A custom copper framed Florafelt F12 billows lemon yellow snaps with ferns. A pump in the copper bin wateres the unit every day for 30 minutes. Just top of the water weekly and enjoy.